In the weekly view, the S&P ($SPX) basically ended where it started after running into resistance at the 200-day / 40-week moving average. 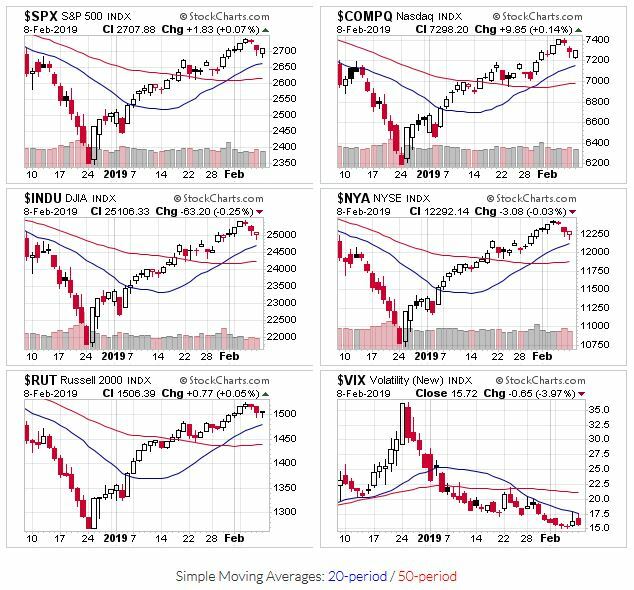 Even though it didn’t close at the highs for the first time in several weeks, there still isn’t a higher “low” to use for drawing the new uptrend. 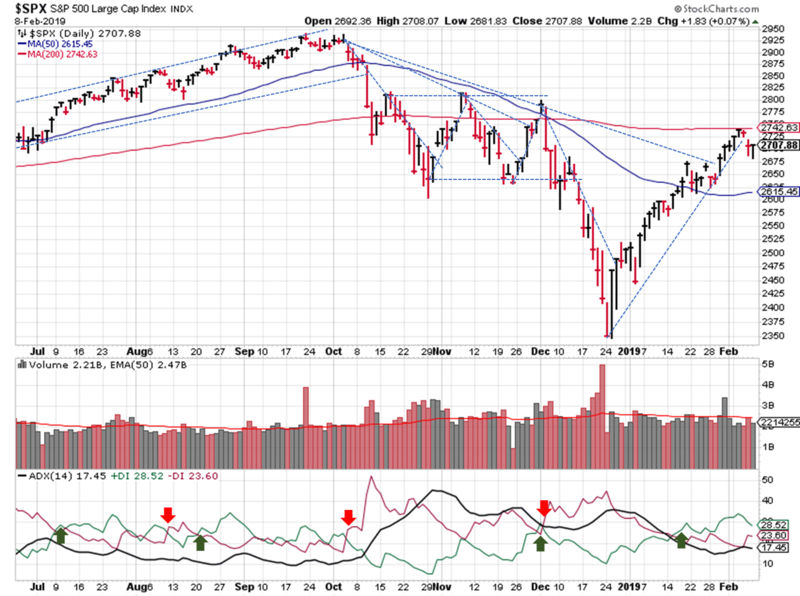 Switching to a daily view, the bounce lower from the 200-day moving average broke the tentative uptrend I had drawn. 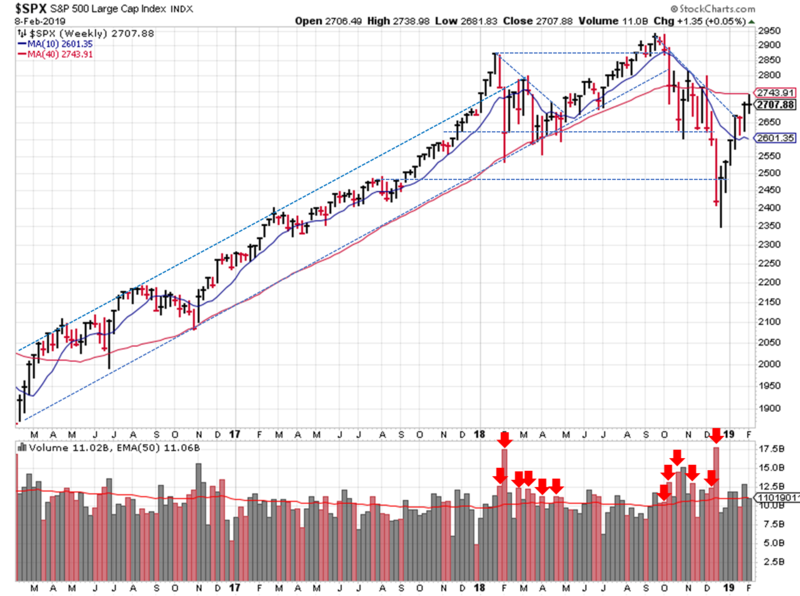 Now we wait for signs of support…I’d guess the mid-2600’s…or the 50-day moving average by the time prices get there. The U.S. stock markets have made an impressive bounce off the late December low, so a brief pause / consolidation is a good thing…fingers crossed this uptrend/rally isn’t just a big bull trap!